Have you ever been stuck financially? I mean STUCK. Do you feel so stuck that you can’t gain traction to get control of your finances? Perhaps you have no income because you have lost your job. Maybe you’re in college and accumulating debt to pay for it. Perhaps your spouse spends money faster than you can make it. Or maybe you’re just lost when it comes to managing money. It might even be the fact that you have so much unsecured debt that you feel completely helpless. Maybe you’re disabled, and can’t figure out what to do to earn more money. 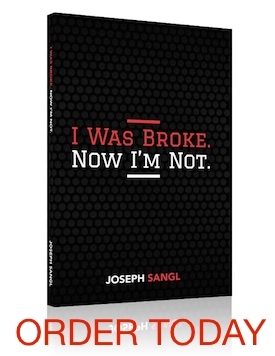 This series is written for those who are struggling with their finances. You might even be making tough decisions about what will and will not be paid this month. It is my hope to provide practical steps you can take to walk out of this situation and into a fully funded life. Let’s get started on the journey and get unstuck! It is extremely important to understand why you are stuck. You must ask yourself challenging questions. There are some situations that have definite ends to them (college) and other situations that may continue on indefinitely (job loss, disability, and overwhelming debt). When I’m coaching a person who says, “Help! I can not pay my bills!” my immediate response is to evaluate the root cause of their situation. I ask questions to grasp the real issues. Here are some of the questions I ask to help move you along in your financial journey. These are not in any particular order. “What was the cause of this situation?” Is your financial situation the result of a long series of poor financial decisions or the result of a catastrophic event like a job loss, medical issue without insurance, death of income provider, etc.? Can you point to a particular poor financial decision that has led to your financial challenges? “Is this an INCOME or an OUTGO issue?” Prepare a budget to help you more clearly determine the answer to this question. Identify where your money is going using your credit card and bank statements. As you identify you monthly income and total expenses from the previous month, it is important to challenge each expense with the question, “Was this expense absolutely necessary?” While most people in financial challenges believe their issue is an income problem, I’ve learned from experience that in most cases, it is an OUTGO issue. “What are the required debt payments?” As you identify all of your debt payments, determine if each one is unsecured revolving debt (credit cards) or installment debt on an asset (car, boat, motorcycle, etc)? As you identify why you are stuck, write the reasons down on paper. Do you have other questions that you would add to this list?